This image makes complete sense: http://i.imgur.com/GxzeV.jpg. 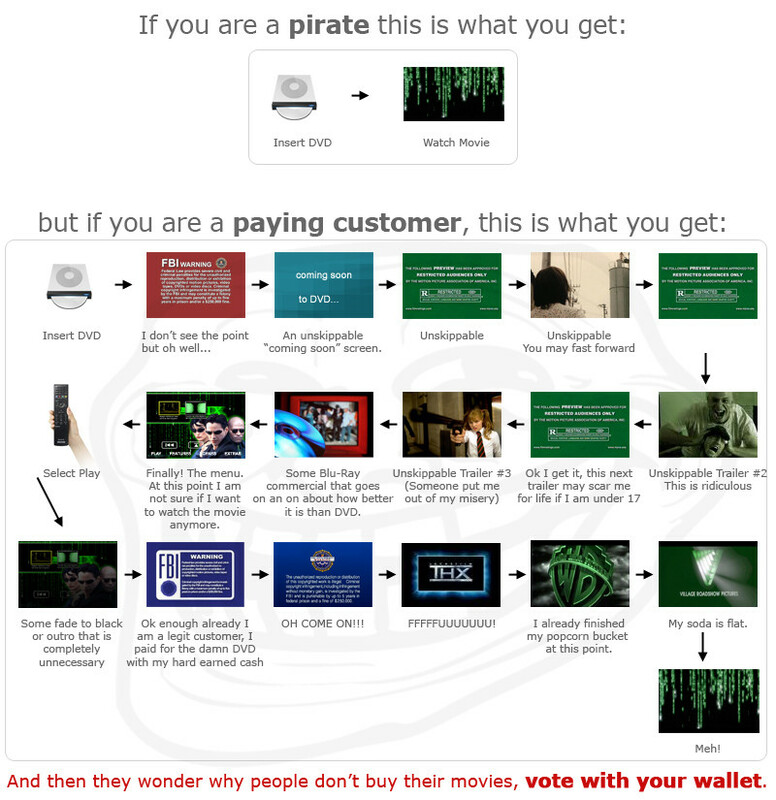 FWIW I don't pirate things. I sell software, so I think it'd be incredibly hypocritical to steal things while expecting others to pay me for awesome software. That said, I no longer watch DVDs anymore, either, and were I to begin pirating, I'd probably start with DVDs. Disney - though they seem to love the "unskippable" sections - at least gives you the Blu-Ray, DVD, and the digital version of the movie when you buy it. P.S. Most of the movies we watch we do so at the dollar movie theater, which costs as much as $2 during peak days and times. P.P.S. Image originally from this article by Matt Gemmell.